Acting Chairman of EFCC Ibrahim Magu says the agency is yet to arrest former President Goodluck Jonathan because no document has been traced to Jonathan giving any approval for the disbursement of the money for any purpose other than arms purchase. Speaking at a meeting he had with online publishers in Lagos yesterday January 11th, Magu said all those that have been arrested and questioned in connection with the arms deal scandal were people who disbursed or collected money for reasons other than the purchase of arms and ammunition. 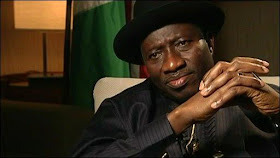 “All approvals by former president Jonathan did not mention that it was for political purposes" he said.